Manchester United manager Jose Mourinho has revealed that he tried to sign Antonio Valencia while he was in charge of Real Madrid. One of the first names on the Manchester United team sheet this season has been Antonio Valencia, who remains one of the bright spots in an otherwise dismal squad so far. In fact, over the past couple of seasons, Valencia has been one of the more consistent players for the team. Mourinho is clearly not surprised with the Ecuador international’s present form, revealing that he wanted to sign the player when he was managing Real Madrid. However, the higher-ups at United turned down the move, underlining the wide man’s importance for the Red Devils. “I tried to sign Antonio a number of years ago, when I was at Madrid,” Mourinho told MUTV. 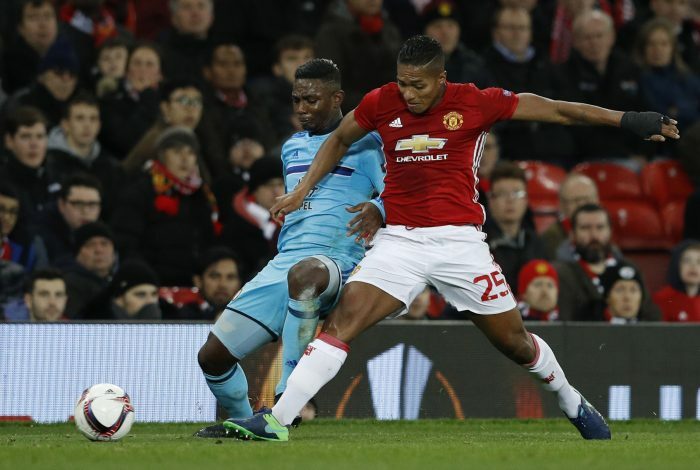 Valencia has been extremely effective at right-back for Manchester United, and is more often than not involved in most of the team’s attacks. The 31-year-old also provides solidity in a defence that is known to be leaky. Jose would now be glad that United didn’t actually sell the player to him when he was at Madrid, or else there would have been another hole in the defensive wall for the Portuguese to find a way to cover.